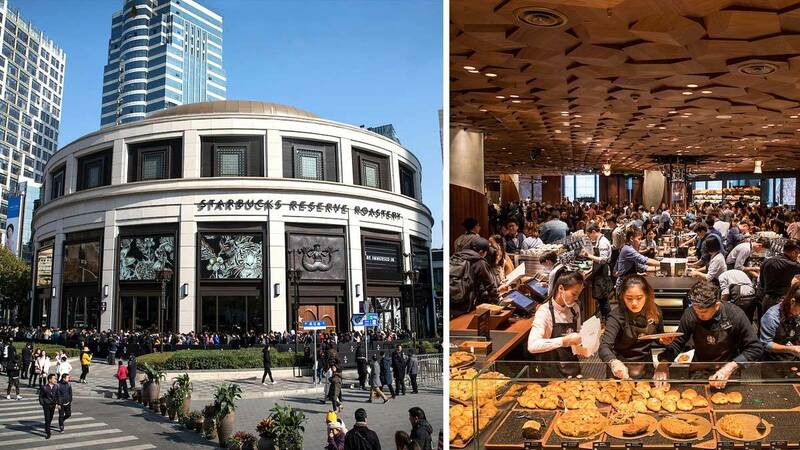 Here's one more spot to add to your 2018 travel bucket list, girls: The world's largest Starbucks just opened in Shanghai, China! The Shanghai Starbucks Reserve Roastery opened on December 5. The coffee paradise is around 30,000 square feet, which is why it has three coffee bars—one of which is 88 feet long. There is also a coffee theater because that's apparently a thing now. A spokesperson for Starbucks says you can take an actual tour around the roastery by downloading Alibaba's Taobao app and "simply pointing their mobile devices at key features...to bring to life information about the Starbucks bean-to-cup story."